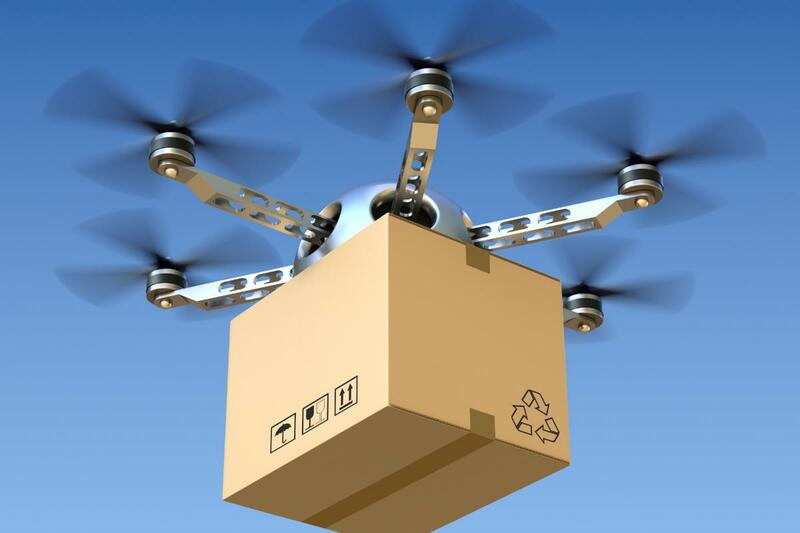 Drones are a new and promising phenomenon in logistics. 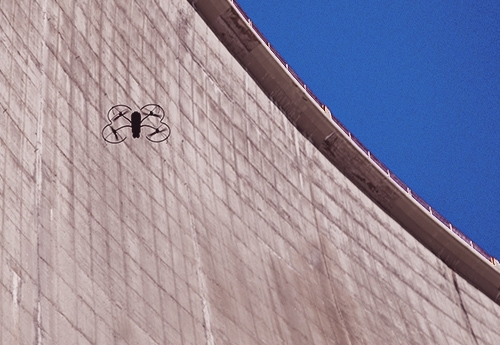 Drones are professionally deployed in survey and inspection activities for industrial sites and structures. But drones are also a logistics asset of the future. 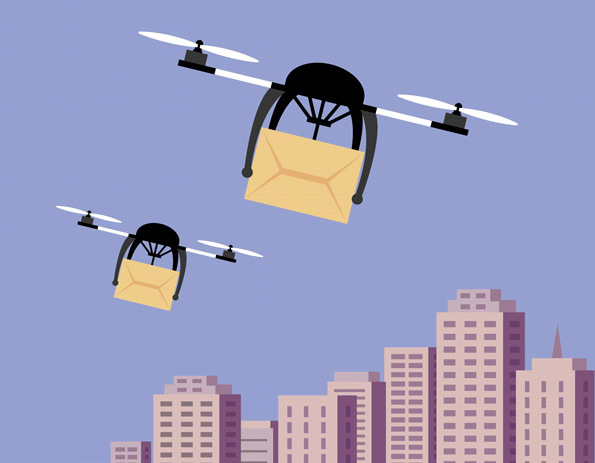 Already Drones are used indoors in distribution centres and the first steps are taken to implement drones in delivery of packages and light cargo in lightly populated areas. It is to be expected that delivery with drones will increase although local legislation is currently a hurdle to be taken. The governmental restrictions for the use of free flight drones currently constrain practical applications in many areas. 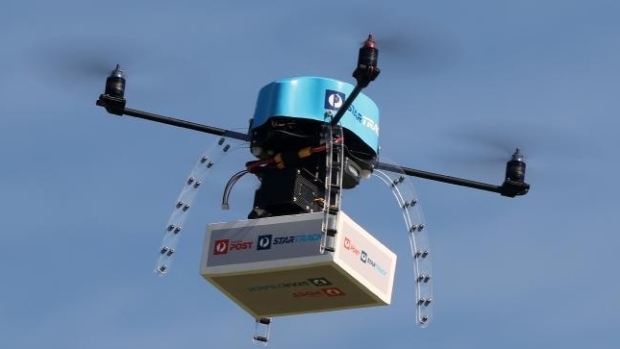 The first locations where drones are to be deployed will most probably be remote areas such as port-areas that require frequent visits by different parcel services. 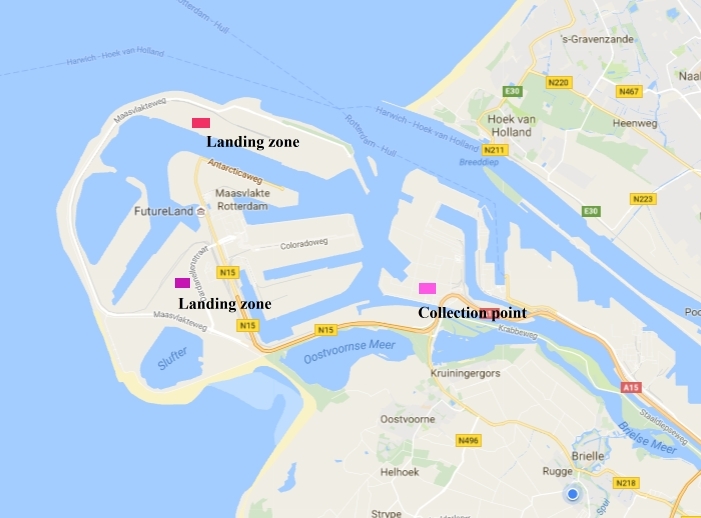 Collecting the parcels at a central distribution point at the entrance of the port-area and forwarding them to a nearby landing zone in the port-area can considerably reduce last mile distribution costs. The last mile transport from the landing zone to the receiver can subsequently be performed by an (electric) van. The reduction of time, CO2 emissions and driving distance is substantial. EvDis Innovative Solutions is currently researching the business cases and experimental locations.